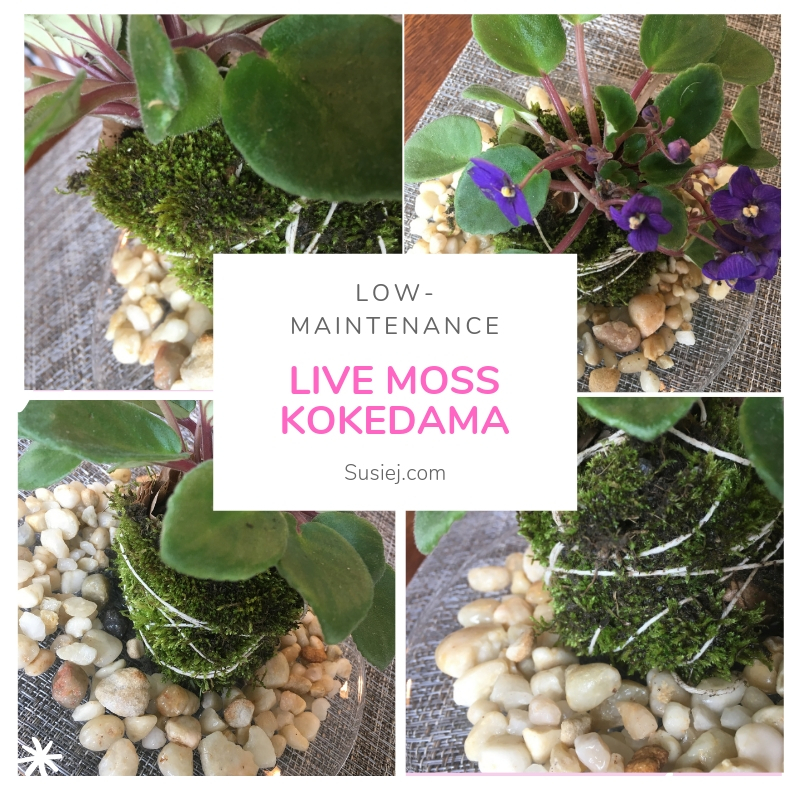 Are you as enamored as I am with Kokedama hanging gardens? The Japanese style of tying the rootballs of plants in balls of moss and hanging from the ceiling? I’m in love. But wait! There’s a lot not to love. First of all, the mess? Hanging plants will need to be watered, and then, how? The only way to prevent a mess is to take them down, water them thoroughly, and then keep them down until they are dry enough to not drip all over your floors. But then, won’t they need to be watered again? First of all, I found real, live green moss outside and collected what I needed. Real moss from the outside just “smells” of the outdoors. Like a walk in the woods after a rain. Next, I picked up some miniature African Violet plants. These are my first attempt at growing these beauties… they were collected and cultivated by my Grandma, and one special aunt. (This is not an off spring of one of their plants — on how I wish for that…). I bought these at the store — but they are connected to Grandma and Aunt Betty in spirit. To make the African Violet Kokedama balls, I took the plant out of its pot and set the roots and dirt in the middle of a brown craft paper. I pulled up the paper around the roots and tied it up with string — a cheat that makes it much, much easier to hold the round ball shape. I tied the top of the ball with twine. Next, I grabbed a clump of real, live moss, and started wrapping them around the brown craft paper. The first time I hot glued the moss to the brown paper. 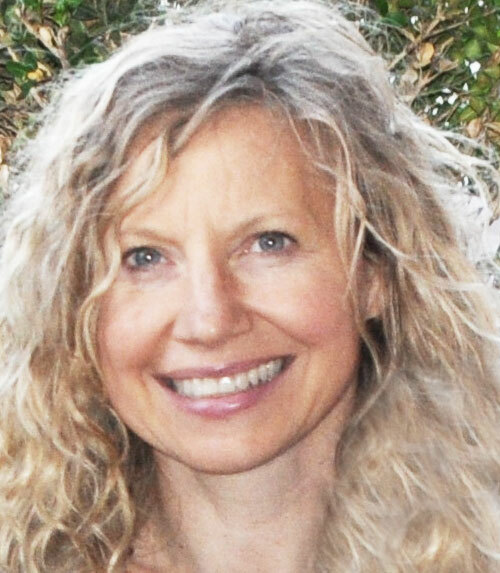 Glue does the job and doesn’t harm the moss. The second time, I skipped the glue, I was in a hurry, and I simply used twine to wrap around the moss and hold everything together. Next, I used the tail of the twine to use as a “wick” to create a self-watering kokedama ball. 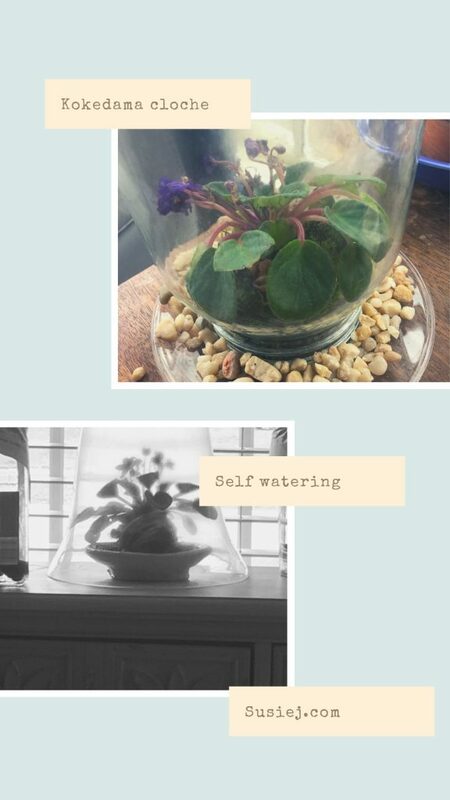 As long as the wick has a water source, a saucer, the twine will keep drawing the water up from the saucer up to the entire root ball, as it seems through to water the African Violet. But still, I knew there would be complications when it comes to balancing the right water, light and ecosystem for African Violets. So, I placed the entire African Violet Kokedama under a glass Cloche. Each afternoon, the condensation forms on the inside of the cloche, to show the vibrant green leaves below. Sometimes I vent the cloche, and sneak another whiff of the smell of “walking in the woods outside in the rain” before replacing the lid.